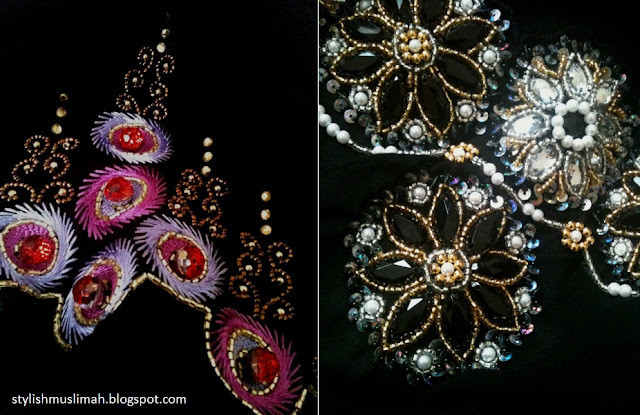 I was recently sent the above two embroidered shaylas to review from Boutique Al-Khaleejia, a relatively new online store specialising in khaleeji abayas, shaylas and accessories. 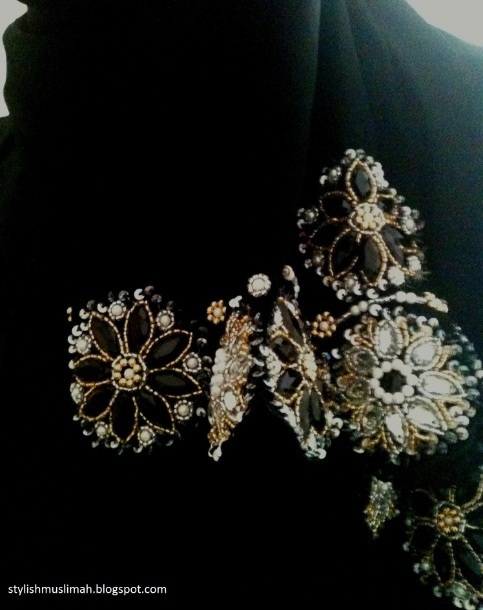 I personally feel that these scarves are too blingy for everyday wear (especially if you don't wear them with an abaya) and I would most likely wear them on occasions when I am wearing a dress with a black abaya over the top. Quality & value for money: The shaylas are made of thin chiffon material, measuring 24x72" making them long enough to wrap around once leaving extra material for styling/coverage. The scarves retail at $49.99 each, which I think is a little steep but when you consider that they are hand embroidered and the amount of beads used actually makes that side of the scarf heavy, then the price is not too bad. Also, the heaviness of the scarf is pretty useful when it comes to syling because the weight means that it is less likely to move around or slip of the head. I know what an abaya is, but what is a "khaleeji abaya". 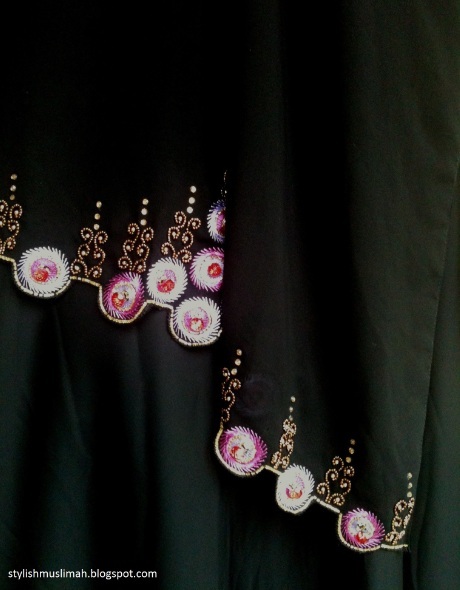 As-salaam: An abaya made or designed in the Khaleej.. 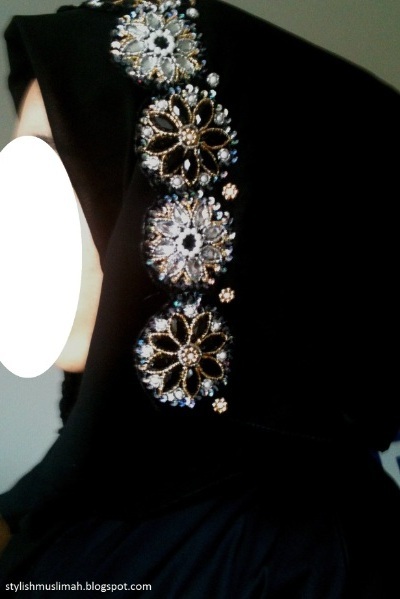 The shaylas I buy that are "decent" to Omani girls usually cost around 20 OMR---that's around 60 dollar USD, so that is a decent deal the online boutique has. I wonder who makes them for them and what they get paid for the handwork then. The ones that aren't so nice here or completey plain are usually 4-15 OMR. Anything namebrand is gonna be more, sadly. 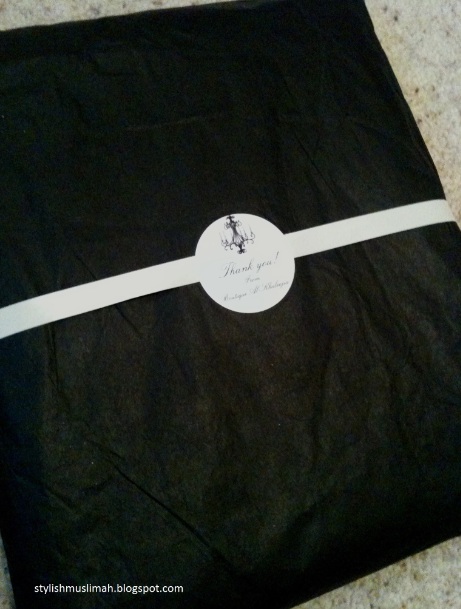 Salaam :) I like your blog. 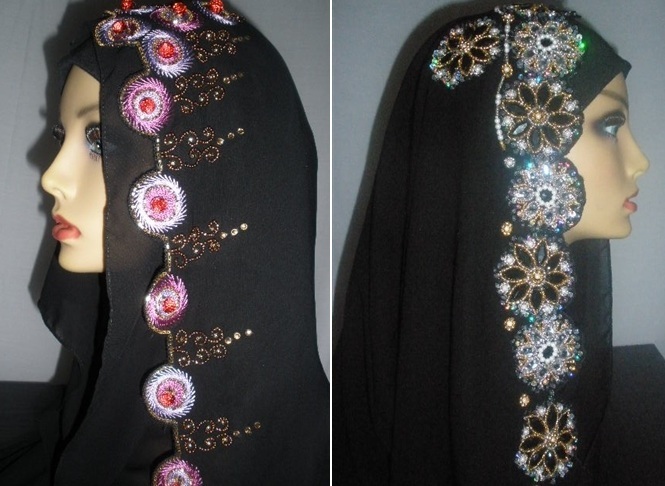 I have just ordered an abaya from them actually, can't wait to receive it. I just want to add this on the review, since you are only evaluating the product not the service, the service was rated pretty bad by friends who have ordered. The old owner did not often reply to emails (unless hse was mad about comments left but to give her credit she was under alot of stress). 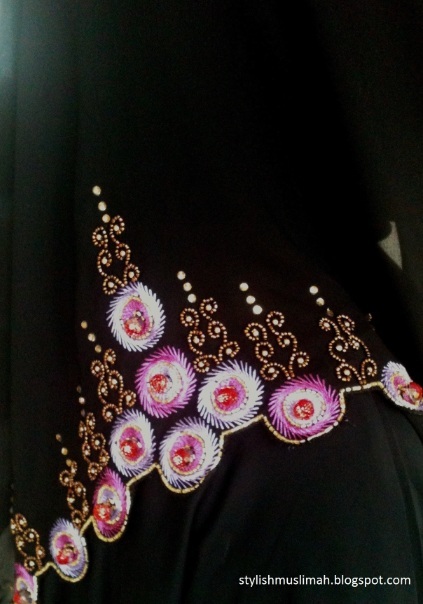 The new owner is not responding to message at all, and a friend has been ripped off (never sent) the abayas she ordered BEFORE the sale to the new owner despite promises her order would be closed regardless of the sale of the boutique. No one seems to care, and it was alot of money. 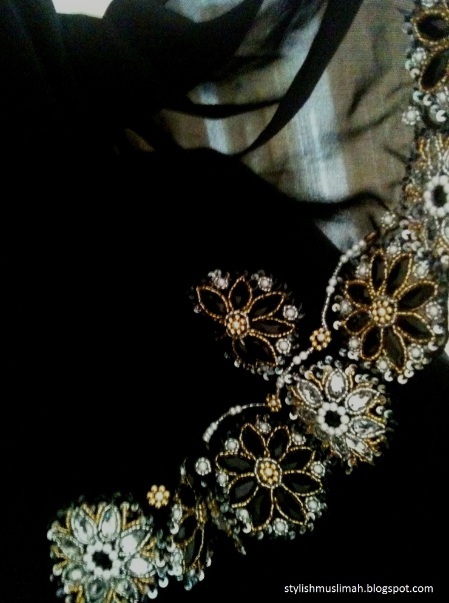 Reminds me of Essense of Black. But before the sale, alot of issters who originally order got really nice product, but from what I've heard, recently, are just bad things. I dunno. Pixie: It's nice to see a comment from you, it's been a while! I hope that your baby daughter is doing well Insha'Allah :) Thanks for the info, I'll think twice about reviewing for them in future. I remember the issues people had with Essence of Black, it's very disheartening to be let down by Muslims that you've put your trust into.